Black vultures four--who could ask for anything more? Okay, there are just three in this family photo. We'll get to the fourth one in a minute. This past Sunday, prior to a work session clearing invasive shrubs in Herrontown Woods, and equipped with better cameras, we returned to Veblen Cottage to check in on the black vulture family mentioned in a previous post. I guess family values aren't the first thing that comes to mind when people think of vultures, but these black vultures are a tight-knit group. That's mom and pop on the right, with the wrinkly skin on their heads (best not to sully any feathers when dipping one's head daintily into rotting carcasses). Hard to know which parent is which. Vultures don't flaunt their sexual identity. And that's a fledgling on the left, still with baby fuzz on the head. Family means something for black vultures. On this AllAboutBirds site, they are described by the writer as "one of my favorite birds." He describes their characteristic flight pattern: a few beats of the wings followed by a glide." "Highly social birds with fierce family loyalty," he says, "Black Vultures share food with relatives, feeding young for months after they’ve fledged." It may not be coincidence that, in this serendipitous photoshoot, the parents gave their fledgling the top perch on the chimney. As we snapped photos from below, the birds were surprisingly cooperative, adopting various poses, from noble, to domestic, to nobly domestic. Laurie Larson, longtime birder in Princeton who has tracked population numbers over the years as part of the Christmas Bird Count (her data and stories below), suggested the fledgling bears a striking resemblance to Voltaire. People have long suspected a ghost residing in the rather disheveled Veblen Cottage. Was it Veblen himself? Einstein? Now we know. While the three vultures were preening for the camera up on the chimney of the cottage, another fledgling, looking a bit down and out, was hiding in the corn crib. It didn't seem to be able to fly up to join its kin on the chimney. When I approached, it shuffled out of the corn crib and hid in the brush. Laurie's Voltaire comparison is spot on, but I also see something of Art Garfunkle here. As an aside, given that the photos were taken at the Veblen Cottage at Herrontown Woods, Oswald Veblen died on the brink of the 60s era, but Garfunkel, who performed last year in Princeton, shares Veblen's broad interest in math, architecture and great books. 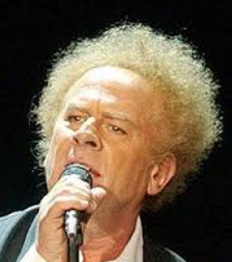 Garfunkel initially majored in architecture, and completed coursework for a PhD in math education while part of Simon and Garfunkel. His interest for numbers expressed itself early on as a fascination with the rise of hits on the pop charts. He has kept a full and public accounting of books he has read, including Voltaire in 1969. He also has that second banana status, which Veblen knew well from living, perhaps contentedly enough, in the shadow of his more famous uncle Thorstein and science icons like Einstein and von Neumann. Part of the joy of the Herrontown Woods project is rediscovering the value of forgotten buildings and legacies that have long flown beneath most people's radar. Here's the farmstead's little barn and corncrib, whose impending demolition earlier this year by the county, along with all the other Veblen buildings, seemed unstoppable until so many people in the community spoke out to support an initiative by Friends of Herrontown Woods (FOHW.org) to save them. Fortunately, for the black vultures as well as the history of Herrontown Woods, Princeton town council swooped in, raptor-like, and snatched victory from the jaws of defeat. FOHW is now working on an agreement with the town to repair and sustain the buildings, while, of course, continuing habitat and trail work, and snapping photos of the local wildlife. It's funny about the black vultures. They've provided a somewhat haunting presence around the farmstead for years. Not sure what to do with the connotations they carry, we tried to pay them little mind, preferring to talk about the flashy pileated woodpeckers and the elusive great-horned owl. But maybe it's time to give the vultures their due. They are a cleansing force in the universe. They deal with stuff no one else wants to deal with. They find sustenance in unlikely places, and extend the food chain one link further. They're faithful and diligent parents. I liked this pose, two generations on a branch. In the distance, you can see the other parent perched on the chimney of the cottage. This was just before they assembled for the group shots on the chimney. The vultures appreciate the Veblen Cottage's classic design with a chimney at either end. Any good photo shoot includes grooming behavior. The parents groomed the juvenile; the juvenile groomed the parents. One adult aimed for the noble raptor look, confirming the AllAboutBirds writer's view that these vultures are "almost dapper." Things got downright statuesque here, with the juvenile taking the parents under its wings. Five days later, we were standing in the Veblen House driveway in late morning when we heard a great ruckus in the treetops behind the barn, not far from the cottage. My friend was giving me advice about fixing up the Veblen House. He didn't have much time, and what he was saying was important. I dismissed the ruckus in the treetops as small birds hassling a crow or hawk or owl. I continued to listen to my friend as the calls reached a blood curdling frenzy. Life was on the line, be it a bird or squirrel. We headed over to take a look just as a large black bird flew off down the hill, the noise fading behind. It looked large enough to have been an eagle. then hopped onto the old kitchen sink and spread its wings, looking our way, as if to impress us, then hopped down and headed towards the corncrib. Later, I grew concerned about what might have transpired in the treetops. Who was the aggressor and who was the victim? Eagles are one of the few predators of black vultures, which in turn occasionally prey on weak or injured animals. Was that large dark bird that flew off a vulture, and had it been on the attack or defending its own fledgling? Black vultures lack vocal organs, so the mortal cries must have been generated by something else. It occurred that the reason the vultures had been so patient with our photoshoot five days prior was that they were lingering at the cottage to guard the weaker fledgling, hoping it would find the strength to join them in flight. I returned to the Veblen Cottage the next day to find the vultures gone. After years of trying to ignore them, I suddenly felt their absence. Today is a special day. 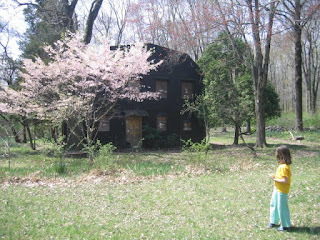 It's my younger daughter's birthday, but from now on, August 7 will also be remembered as the day Mercer County announced an agreement to transfer Herrontown Woods and the Veblen buildings to the town of Princeton. 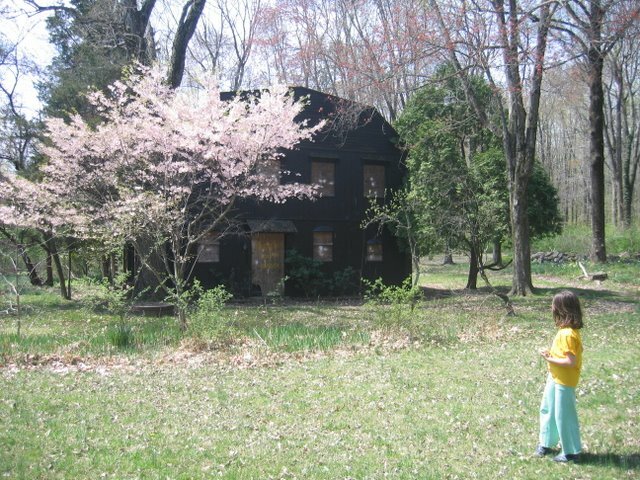 Town council, responding to a groundswell of support for saving the Veblen House, has agreed to take ownership of the house, cottage and other structures, along with the 142 acres of preserved Princeton ridge forest, and will work out a lease arrangement with our nonprofit. The Friends of Herrontown Woods got a green light four years ago to restore the trail system and habitat. Our success at making the preserve welcoming to hikers, along with the tremendous support people have shown for our work, has convinced town council to give us a chance to repair and repurpose the buildings as well. The Veblens donated Herrontown Woods in 1957, as a place "where you can get away from cars and just walk and sit." Now, after a ten year effort to gain recognition for the value of the buildings, we will develop an agreement with Princeton that will allow us to honor the other part of the Veblen's legacy--buildings that can serve as a gathering place, complementary to the open space that surrounds them. At this turning point, we feel great gratitude to all of our supporters who spoke out when demolition seemed imminent, and to the mayor and town council for their positive intervention. Now, finally, we can look forward to putting these well-crafted buildings on a positive trajectory, and making them a great asset for the Princeton community. Note: The youthfulness of my daughter in the first photo attests to how long we've been working to reach this point. I first came upon Veblen House ten years ago, while doing plant inventories in Princeton's nature preserves.